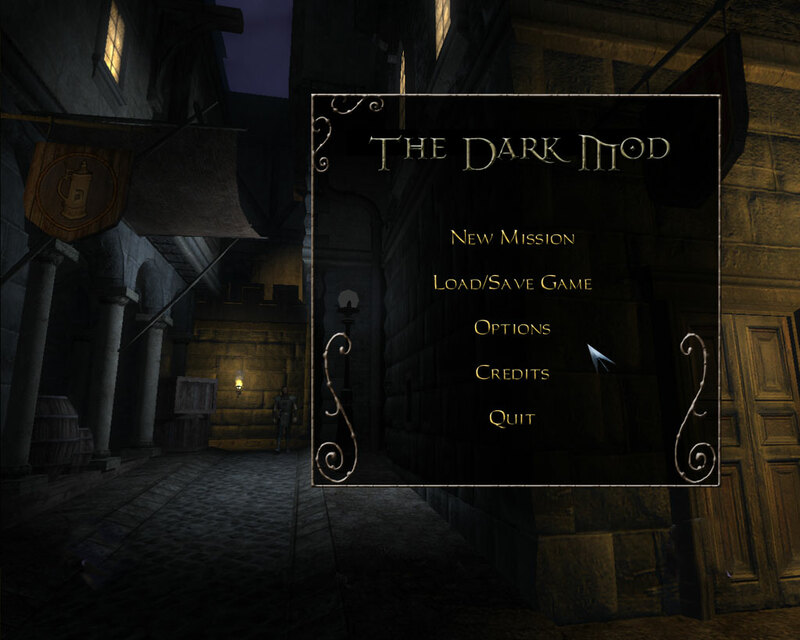 Here is a mock-up of our main menu and options menu screens. Obviously the background is a placeholder. I'm envisioning something similar with our engine, with a small animation of the street signs creaking in the wind. Possibly with people milling about if possible, although we're not sure if that's doable. This version is for Napalm to use in the meantime if he's still doing the menu GUIs. That's some gorgeous work Spring. I like how it has style but is subtle at the same time. Great work. As far as something happening in the background, I was actually picturing that guard in the background walking up to the foreground...then maybe looking around a bit... standing there shifting his weight from leg to leg, or checking out or his sword, then heading back to the background and around the corner. Just something subtle. Maybe have some civilians make an appearance every now and then, too... and other guards, etc. But not revealing too much, of course. Maybe some stars twinkling above in that night sky and a "1 in 100" chance of a shooting star happening. Sounds good. Let me know when you need the graphics files...I have them all saved at 1280x1024 with the buttons on separate layers for easy access. The "New Mission" menu will be a different design than this one so don't worry about that yet. 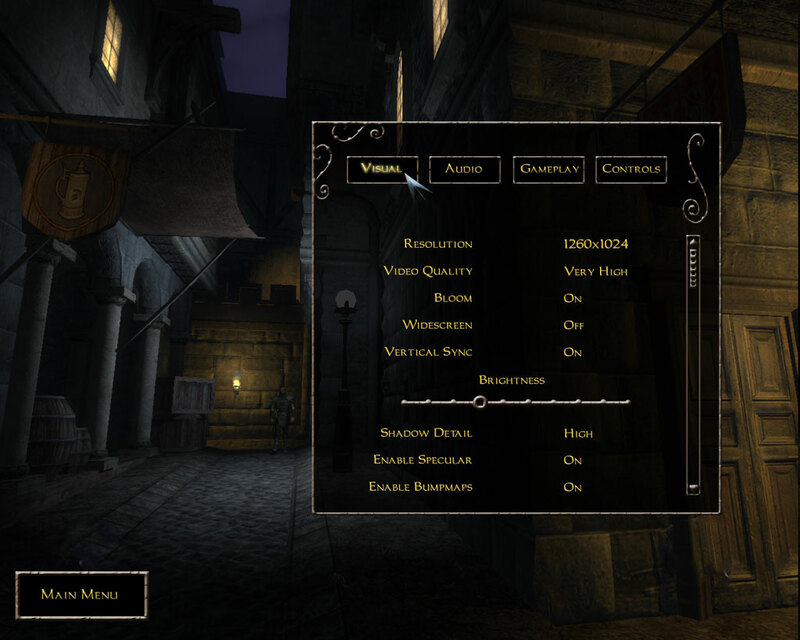 Just stick to the main menu and the options menus for now. 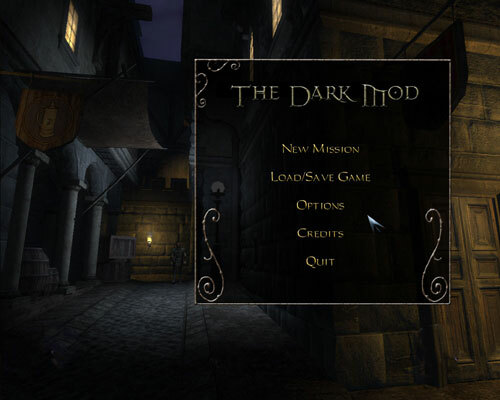 I'll get you the Load/Save menu and Purchase Screen in a bit. It's very minimalist, kind of a cross between T2 and T3. I like it. Looks absolutely cool! Great work! Just noticed this. Is this screenshot in the back a scene from T3? Might I suggest the addition of 1 piece of magic, machinery and some plant matter (moss or vines) on or around the menu. Very subtle but just there to reparaZent. Is it really a good idea to use a T3 screenshot out of all images? IMO we should use our own. Or is this just a placeholder? Yeah spring said it was a place holder. That's the view you get after coming through one of the loading zones in the city, but I can't remember which suburb it is called. I knew someone was going to skip that part. Lovely, saw them before, but why T3 in the background now? It's more representative of what I'd like to see in the background. The only city map we have is our old Citytest, which was never meant to be nice to look at. Once we get a good supply of city textures and models someone can come up with a good city map in our engine, which I'm sure will look far better than the T3 one. OK, just seemed to me that since neither would have been final, better have our own placeholder rather than use T3. But it's not something that's even worth discussing, so I'll stop here. The menu was so stunning to look at that I totally missed the reading. 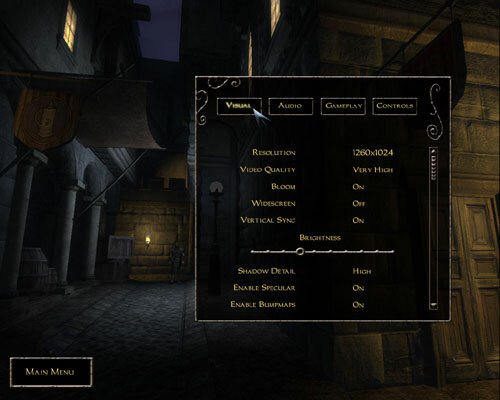 It looks lie the Morrowind UI to me, which isn't necessarily a bad thing, but a little more distinctive individuality would be preferable. I like it, it's pretty simplistic and not overbloated like t3's was. I've never even seen Morrowind, so I'd be really surprised if it were that similar. in structure..yes it looks like mw-s menu. Judging from what I've seen by scouting around the web, the main similarity seems to be that both menus use square boxes and the colour brown. I highly doubt anyone is going to think one is derivative of the other.